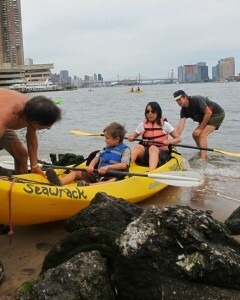 Join us for a paddle on New York City’s East River and be part of the movement to open up Manhattan’s “East Coast”. We advocate for free public access to our city’s great public waterways for open water swimmers, non-motorized boaters, environmentalists, students, teachers, and anyone who wants to touch the water in our city of islands. No experience required, all equipment and guidance provided FREE.